Not my first time as a Burghley House wedding photographer, it was great to return to this magnificent wedding venue. Just 10 minutes from my front door, I know it so well, both “on and off” duty. 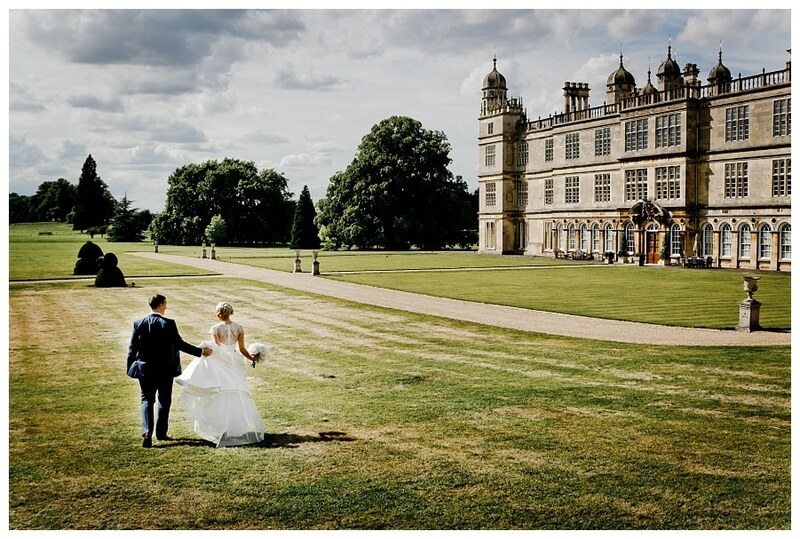 Burghley is one of the most sought-wedding venues in the area, and securing a wedding there is no mean feat, as the number of weddings each year is strictly limited because of the busy calendar of events that Burghley otherwise host. Sophie and Chris, whilst recently moved from the area with work, leave their hearts at home in Stamford. It was important to them that their suppliers were the very best wedding vendors from the local area. Sophie got ready at home with Mum, Dad and their cute Westie who almost stole the show! Sophie’s had a relaxed morning with her girls, most of whom she’d known from school. For makeup, she’d chosen a local MUA, who I’ve since worked with on other Stamford weddings and will be working on weddings together in 2017. Sophie’s elegant dress was paired with a pretty “wow” pair of Jimmy Choo’s, and everything had been set out by Sophie’s mum in a room that had been converted to a dressing room ahead of the big day. By far the biggest showstopper was the floristry. The most spectacular wedding flowers I get to see in any given wedding season are those created by Rebecca at Pollen Designs. She is Burghley’s recommended florist, which says a lot, but I’ve seen her designs at other Stamford venues, and people choose her a] because she is the nicest person you could ever work with b] will totally “get” the ideas that you are striving for, when you don’t have the words yourself and c] because she creates flowers for couples who put floristry high up on the priority list. I wouldn’t be exaggerating if I said that I could shoot at Burghley for a week, and still not have covered all the opportunities. Over such a vast park, it was important for me to focus on getting all of the killer images worked into the story of Sophie and Chris’ wedding day, without them feeling that they were rushing around. So, on the way back from the church service in Ryhall, we had the driver take them to the famous Lion Bridge for some time alone whilst the wedding party went on ahead to enjoy welcome drinks in the Rose Garden. (Burghley offer guests the opportunity to tour the house too, as part of the drink’s reception, which is pretty awesome!} On the day, I worked with Matt Andrew, who shoots a lot of my weddings with me. I completely trust him, as he nails a lot of the candid images you see on my blog, whilst I’m with my bride and groom making lovely portraits. No Burghley wedding would however be complete without the epic image that sees the couple taking a moment to breathe, with the House as the backdrop. After a brief moment of peace, and a minor detour to via the cloisters for more spectacular portraits, we then headed over to join the guests in the Rose Garden and Orangery. This gave us the chance to capture all of the natural images of guests having a ball, as well as lots of the details that Sophie had organised in the Great Hall for the wedding breakfast. Grand floral arrangements by Rebecca, chair covers by Lily King in Stamford, and cupcakes by Stamford Cupcake Company. After dinner, we had a brief window of opportunity to take Sophie and Chris out again before the arrival of the evening guests. This time, to Hell’s Staircase for a totally different edge to their final image set. Anyway, enough chat – here are some of the best images from across the day. 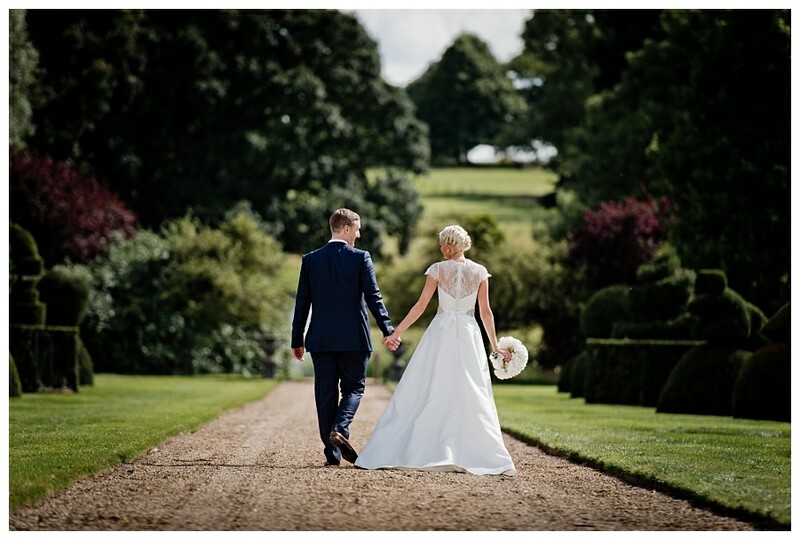 I shoot regularly at venues in Stamford, Rutland, Cambridgeshire and Norfolk. Here you can find an outline of the most popular packages that my couples book for their day.